Are you an adventure freak? Do you dream of the wild adventures? Make your dreams come true with an escape to the fabulous Pench national park and get ready to soak up the wilderness.Pack your bags and embark on a journey to this thrilling destination with Kesari tours. Nestled in the southern boundary of Madhya Pradesh, and Maharashtra in the districts of Seoni and Chhindwara, capture a glimpse of the magnificent Satpura hills engulfing this park. Well, this place is quite famous for the exciting ‘Jungle book’ famous character Mowgli’s adventures. Come and explore the heart of Pench National Park, with its imperial tigers and several other animals and birds, That will surely bring you back the excitement and fun you used to have a while , watching programs of Mowgli battle Sher Khan. The nature lovers and wildlife enthusiasts must visit here to gather thrilling experiences at the Pench National park camps. Spend your leisure time with the thrilling activities such as the Jeep safaris, Elephant Safaris, walking Safaris. Get lost in the beauty of the nature taking a stroll from the Raiyakassi to Karmajhiri. If you are lucky enough you can spot out the tigers. Take a glance of the other animals such as the sambar, gaur, wild boar, chausingha, nilgai, striking deer, jungle cat, leopard cat, wild dog, Sloth bears and leopard. Capture some nice snaps of the 260 bird species including the stunning cormorants, herons, egrets, black-necked storks, beautiful squeaky duck, large crested serpent eagle, red jungle fowl, and bright kingfishers. The scenic beauty, the dense salubrious forests, and the wilder animals will surely get you an adrenaline rush. If you are craving out for a perfect place to relax, unwind and rejuvenate your senses, then quickly plan out a tour with Kesari tours to this breathtaking national park of Pench. 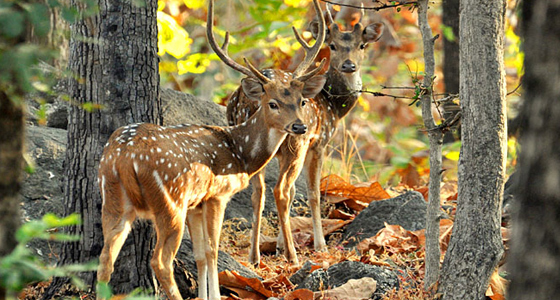 Take a stroll through the enchanting forest museum in Pench. Get an idea of the captivating national Parks, its vegetation and wildlife. Enjoy the slide shows and various video shows that are shown in the Pench National park. 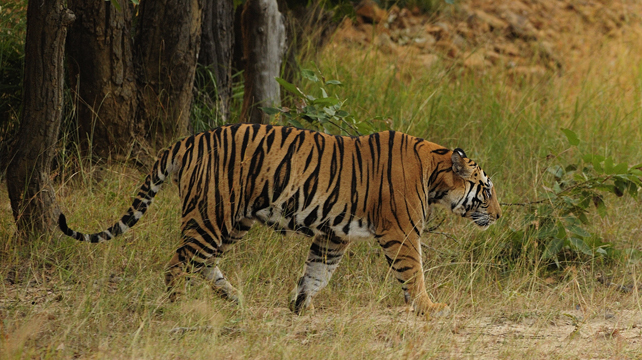 For those who feel overwhelmed about where to spend the next vacation holidays, a tour to the Pench National park is sure to blow your mind with the eye-opening natural wonders.With Kesari tours quench your thirst for adventure travel exploring the heart of Pench national park and gather an incredible experience amid with some lifetime memories.